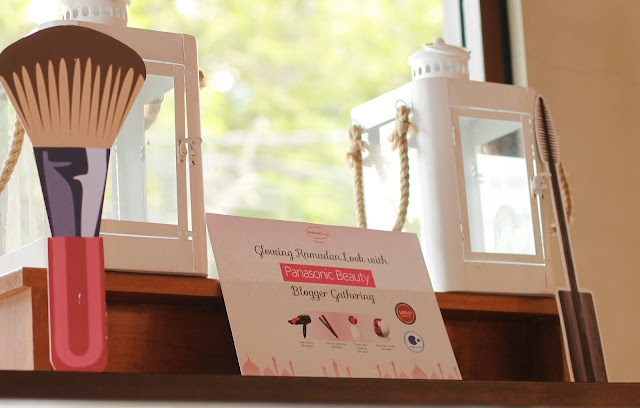 I believe most of you already familiar or even adoring this advanced beauty products from the brand Panasonic Beauty. This time, I’m so excited to share about the amazing event that I have attended in the past week, June 18th at The Hook Restaurant. 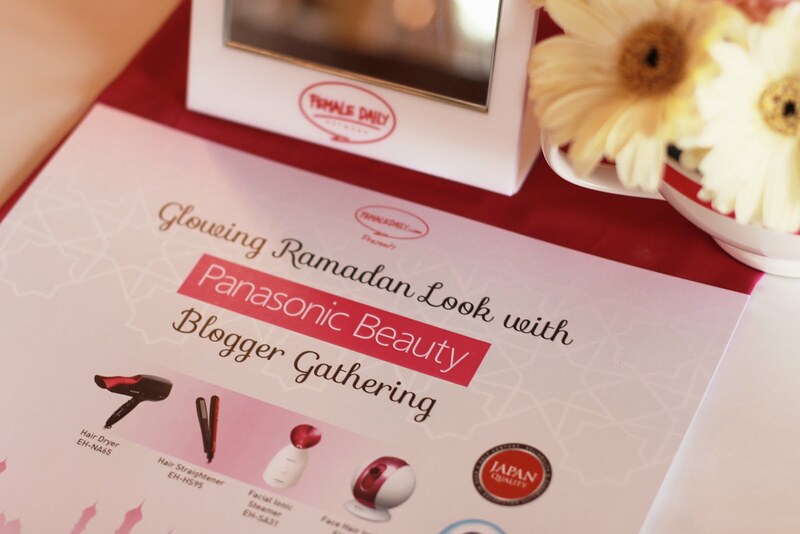 Once again, thank you Female Daily and Panasonic Beauty for inviting me to “Glowing Ramadhan Look” event. 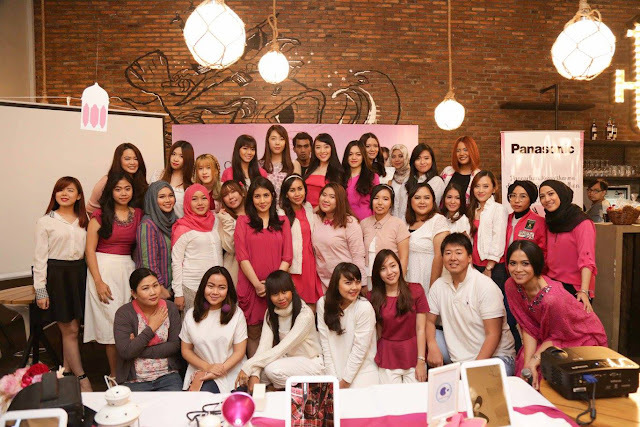 Together with the other beauty bloggers, we were having a beauty classes and break-fasting together afterwards. 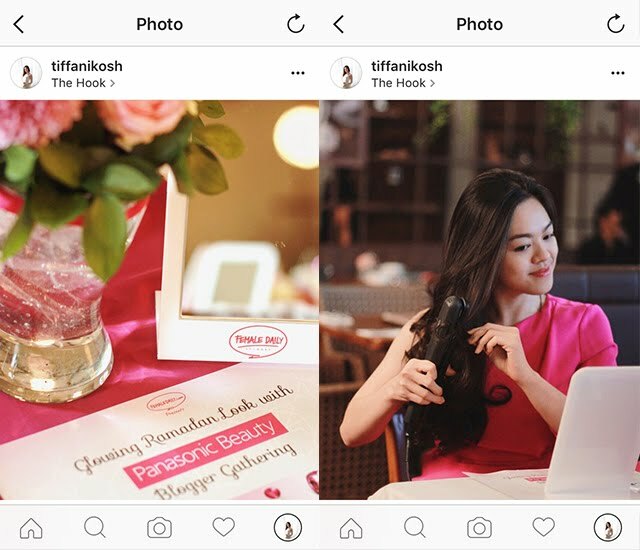 The beauty classes consist of make-up and hair-do tutorial exclusively presented by the professionals including MUA @hepidavid while introducing us the Panasonic Beauty Line-up, the Nanoe series - Facial Ionic Steamer EH-SA31, Hair Dryer EH-NA45 and Hair Straightener EH-HS95. Before the beauty class started, all the guests were allowed to have a quick preview of all the Panasonic Beauty products. Since I am a big fan of Panasonic hair product, so let’s try the Nanoe Hair Straightener EH-HS95. It has nanoe particle released through the small hole at the edge of this hair straightener. Do you wondering what is nanoe? 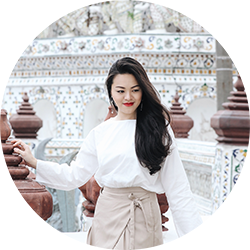 It is an advanced technology in the beauty products that has been used for anti-aging, and now the nanoe technology also applied into Panasonic hair products to keep the hair strong, healthy and shiny. 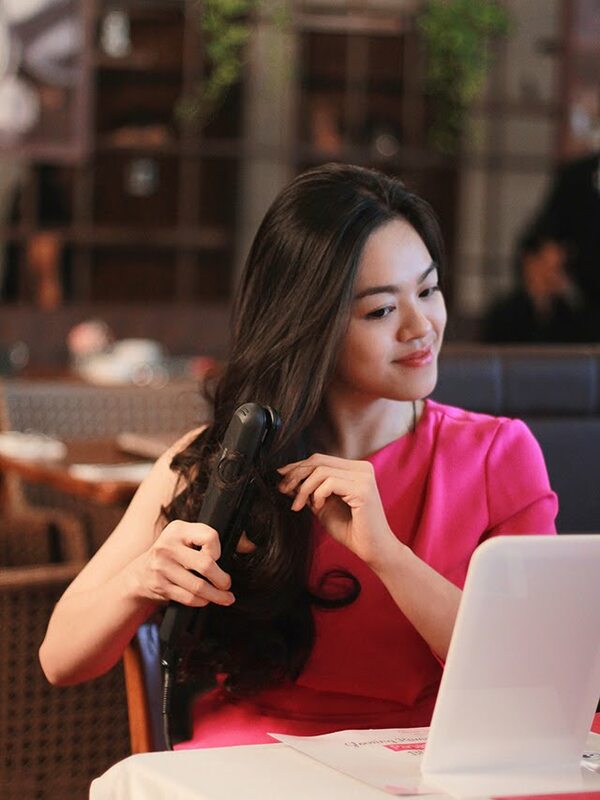 This Nanoe Hair Straightener EH-HS95 also can be used as a curler, and it holds my curl perfectly fine. Cause you know what? the secret is, if you want to have long-lasting curly hair, you have to use hair straightener in high temperature - just like this EH-HS95, you can adjust the heat temperature from 150oC, 170oC, 180oC, 190oC, until 200oC. Normally, I used 200oC which ends up making my hair-ends really dry. But considering this product has nanoe, I think this is going to be hair savior for every women. 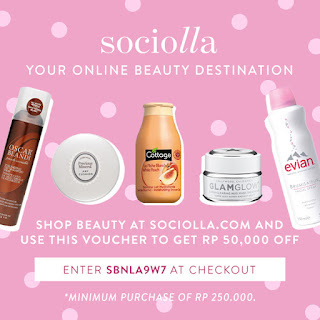 The next thing I loved about This product, its very user-friendly. You don’t have to worry of getting burnt with this product, since it has Intelligent Sensing System. 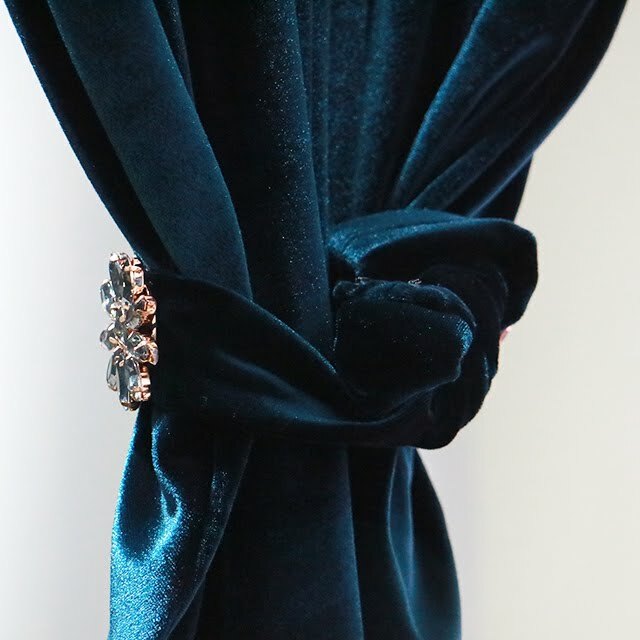 The temperature will be decreased by itself in case if its not being used for certain time, but when you are about to use it again, the temperature will be back to normal. Last but not least, Nanoe Hair Straightener EH-HS95 is super cool for those of you have a colored-hair. Cause it has PhotoCeramic Coating, known able to hydrate as well as prevent your hair color from fading. 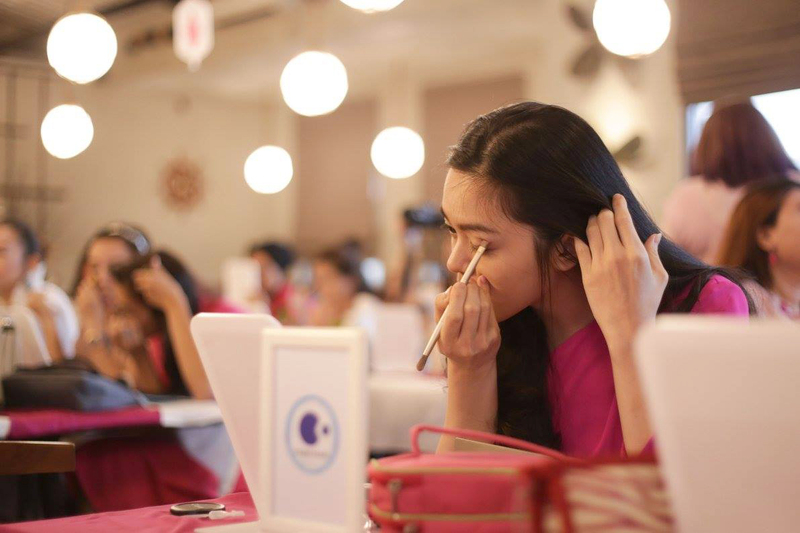 The beauty class started with creating "Glowing Ramadhan Look" make-up tutorial by MUA @hepidavid. 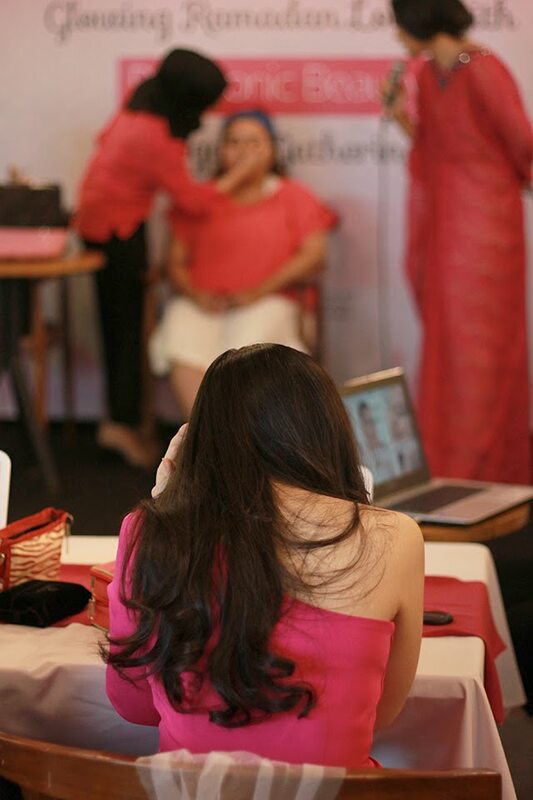 Firstly, she asked us to have quick face spa with Nanoe Facial Ionic Steamer EH-SA31. 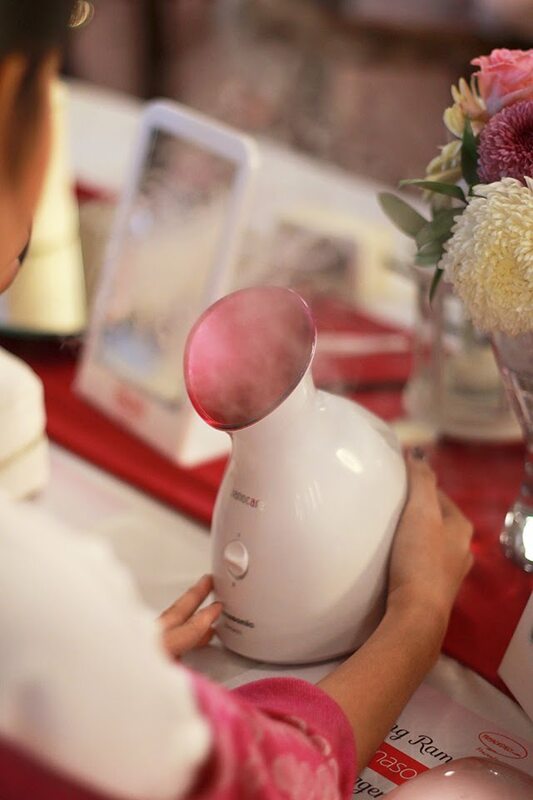 The warm steam air combined with ultra-fine nano-sized particle able to reach the deeper layer of the skin, leaving the skin feeling smoother and softer which is perfect for make-up applications. 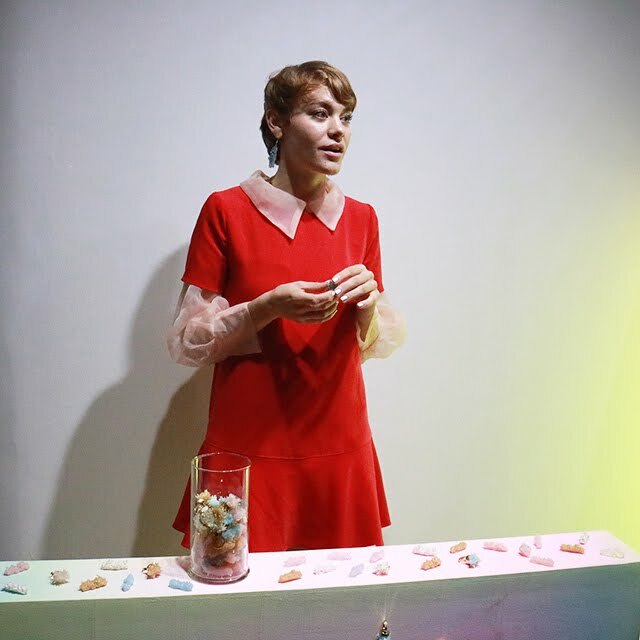 @hepidavid also revealed her beauty secret - as a women, we are likely stuffed our face with make-up products all day long. And its very important for us to cleanse it well! Nanoe Facial Ionic Steamer EH-SA31 from Panasonic Beauty is definitely one of the solution, cause it able to opens up the pores to deep cleanse all the make-up, dirt, and excess oil, makes your skin feeling refreshed and renewed right away. By the way, sadly I didn’t win the best "Glowing Ramadhan Look". Instead, I did win the best Instagram post! So I brought home the Panasonic Nanoe Moisture Infusion Hair Dryer EH-NA65. 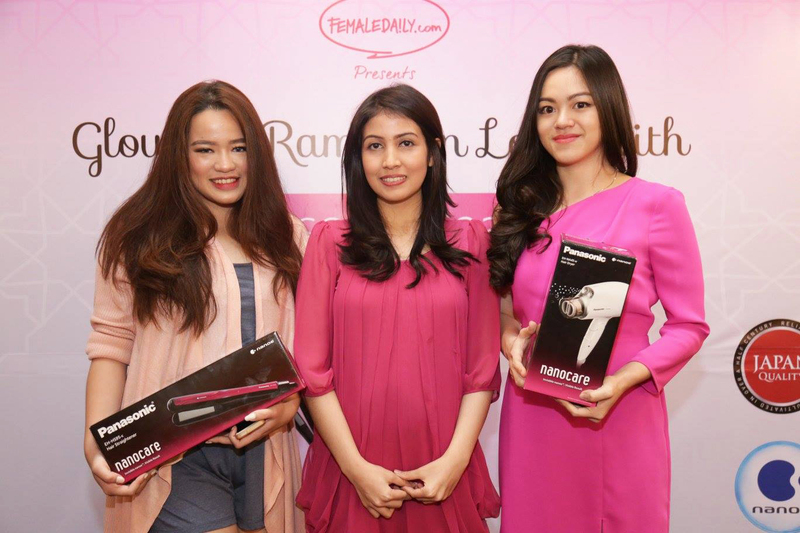 Thank you so much Female Daily and Panasonic Beauty. I’m in love with my new Nanoe Moisture Infusion Hair Dryer EH-NA65, currently I’m using it everyday to get a healthy hair from the scalp, hair roots till the hair ends, since it has nanoe and platinum ions. These double ions really moisturize my hair leaving it way more healthy, stronger as well as looking shinier! 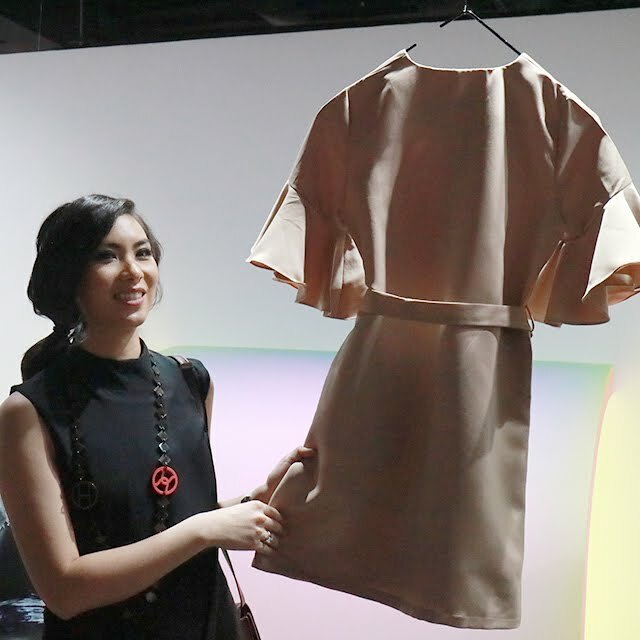 Attended the event 'Zalora Designer Project' at Ruci Art Space. 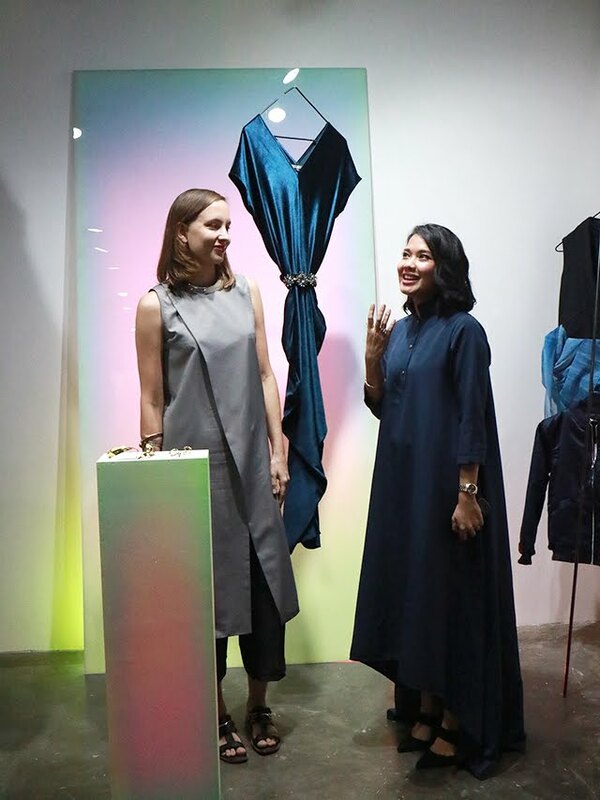 Its the collaboration of Zalora Indonesia with 23 local designers from Anokhi, Ask, ATS The Label, Avanava, Dari Dara, Day & Night, Dtale, Duma, Environmental Jewellery, Jenahara, Kami Idea, Klar, Massicot, Monstore, Moral, Nikicio, Peau, Posh The Label, Rakriz, Reves, Sura and Vatthu. 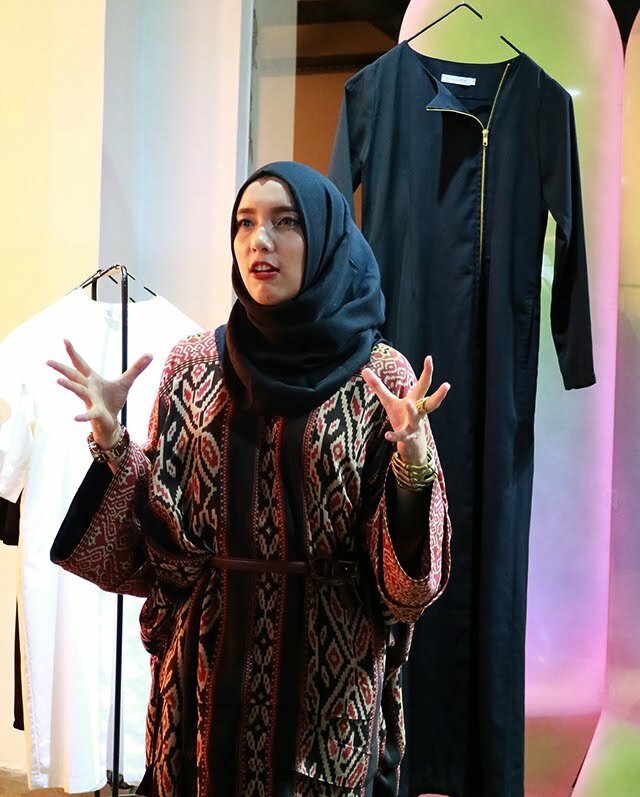 I found this event was very interesting and such a good platform where we can meet the designers, media, influencers and other fashion enthusiast. 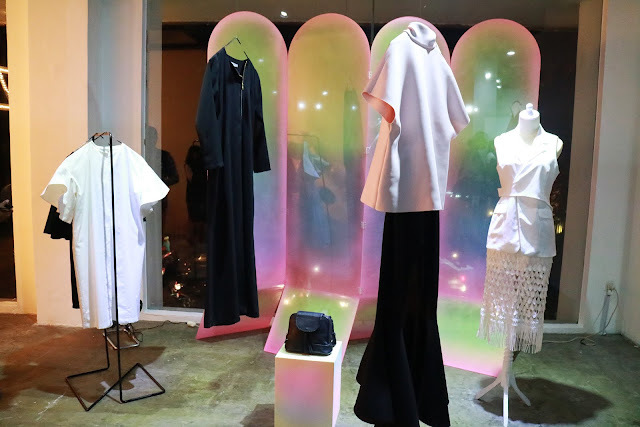 Not only that, this event was really great for those who love to shop designer's clothing by online. 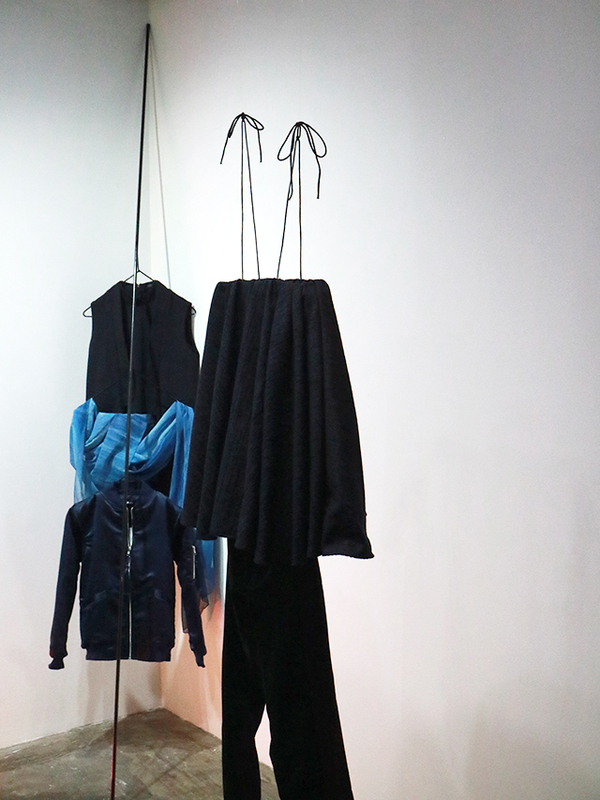 Here you can directly see and feel the product. 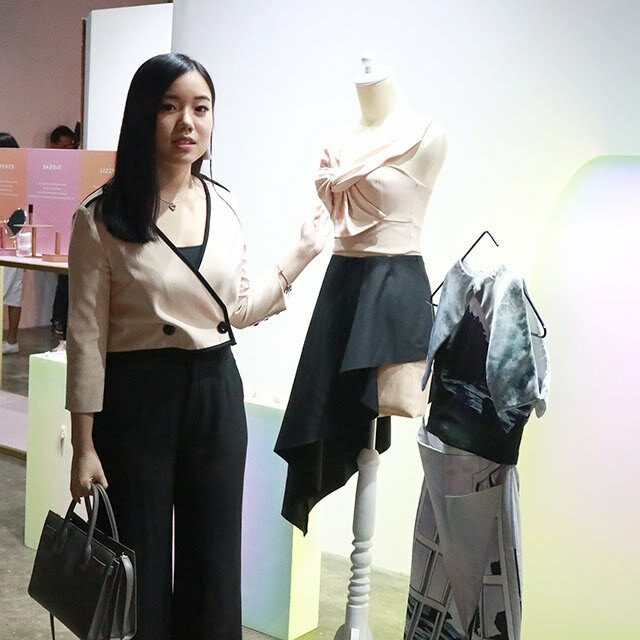 In order to understand more about the brand, they also provide the Samsung Galaxi Tab to show the brand approaches and their full collections.